In today’s modern climate, education and learning take place in multiple and diverse spaces. Increasingly, these spaces are both physical and virtual in nature. Access to and use of information and communication technologies, and the emergence of knowledge-based economies necessitate an understanding of the plurality of spaces (such as homes, workplaces, international space and cyberspace) in which learning can take place. 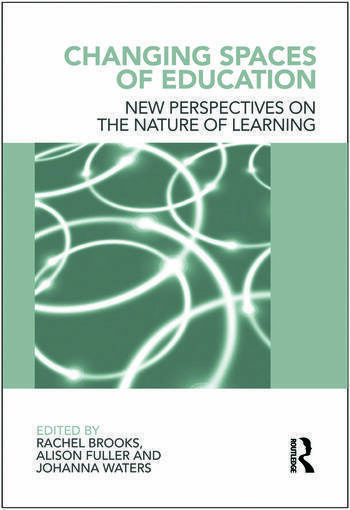 The spaces of policy making with respect to education are also being transformed, away from traditional centres of policy formation towards the incorporation of a wider range of actors and sites. These changes coincide with a more general interest in space and spatial theory across the social sciences, where notions of simultaneity and diversity replace more modernist conceptions of linear progress and development through time. inspects the ways in which the meanings attached to education and learning change in different national and regional contexts. Alison Fuller is Professor of Education and Work at the Southampton Education School, University of Southampton, UK. Johanna Waters is Senior Lecturer in the School of Geography, Earth and Environmental Sciences, University of Birmingham, UK.